A 2019 review of Nirvana Seeds: their reputation, customer service, strain selection, discounts/promotions, free seeds, and more. This Amsterdam seed bank has a reputation for being for being extremely beginner-friendly and providing good seeds at an affordable price. They also have been known to be generous with with their sales and promotions, and they often throw in free seeds with your order. Nirvana seeds are sold in many different seed banks and are a good brand to start with if you’re just attempting your first grow. Read the Top Seed Bank Recommendations at the bottom of this page! The story of Nirvana Shop starts all the way back in the 80s, when Mau, the seedbank’s founder, was working in a job at the famous Amsterdam seed bank and grow shop, Positronics. There he learned a lot about the marijuana industry and picked up the tricks of the trade. Before long, he had learned a lot and decided to strike out on his own. Before the seed shop could take shape, Mau spent years travelling around and collecting some of the best specimens of seeds from cannabis plants all over the world. After that, he spent even more years growing, crossbreeding, and experimenting with all the new seeds he had collected. After a few generations of this process, he had his own custom set of totally unique hybrids ready for sale. In 1995, Nirvana Shop was officially founded as an online seed bank. 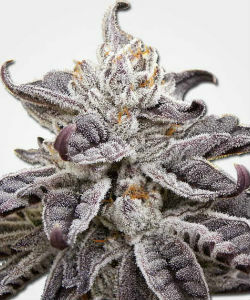 Since then, their original strains have been consistently available, as well as the new hybrid strains that the Nirvana team comes out with on a regular basis. They’re always striving to improve upon the solid strains that they already offer. By 2019, they’ve gone through generations and generations of plants, making them better each time. The really unique thing about Nirvana seed bank is that they not only sell their own varieties of marijuana seeds, but they also sell a range of innovative hemp-based products, including their own homebrewed hemp wine and hemp beer. They really push the boundaries of the industry by constantly inventing new uses for the plant that other people have never even considered. Who knew that you could make hemp vinegar, hemp iced tea, and hemp liquor? Without the visionary hemp masters at Nirvana Shop, the world might never have known! Most people know Nirvana Shop as the place where they got their first set of seeds, soil, and other grow supplies. They do provide a great place to get everything you need for your first grow all at once – and for a reasonable price. For this reason, they’re often recommended to new growers and quickly become a favorite. Their seeds offer a great value for the money. They’re not regarded as a luxury brand amongst the top seed banks in the industry but are considered a great place to start out. Whether you’re on your first grow or are highly experienced, you can always count on the Nirvana seed bank to provide a stable product that you can fall back on. Even growers who like to experiment with new strains from high end seed brands may still plant trusty Nirvana seeds for a harvest that they can count on. 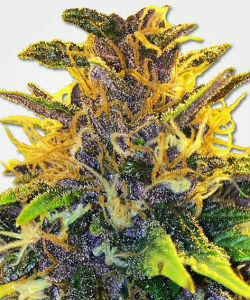 Nirvana seed shop has plenty of different strains to choose from. They sell regular, feminized, and autoflowering seeds, as well as indoor and outdoor varieties. They have about 40 different strains available in 2018, including many popular strains such as AK-48, Aurora Indica, Ice, Jock Horror, Northern Lights, OG Kush, Sour Diesel, Raspberry Cough, White Widow, Girl Scout Cookies, Master Kush, Papaya, Somango XXL, and many more. 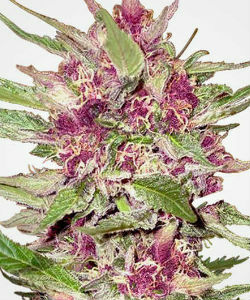 Most customers can find something basic that you like to grow at the Nirvana seed bank. Nirvana Shop also sells different all-inclusive grow startup kits that contain everything you need to get started on your first grow. The Tasteful Indoor Starter Bundle, for example, contains 5 root pouches, a propagator kit with 10 sponge pots, a yield kit for 5 plants, and 5 feminized mango skunk seeds. These bundles save you money and also minimize the margin of error for new growers. They also have a bundle designed for your first outdoor grow, a couple of kits designed to produce a yield quickly, and a couple designed specifically with medical marijuana users in mind. No matter what your reason to grow, you can find a beginners bundle at Nirvana Shop that will work for you. 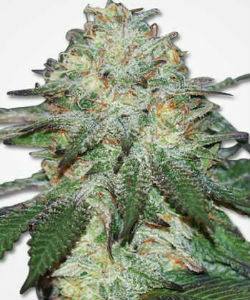 Nirvana Shop provides consistently good quality seeds at low prices. They are a trusted brand whose seeds are sold by many different distributors and resellers all over the globe. Thousands of growers started out using Nirvana seeds, and many still swear by them. With such widespread renown as Nirvana seed bank has earned itself, the products have to be pretty good. Nirvana seeds are a solid mid-range choice for customer who want to have a reliable yield without shelling out a ton of money. Nirvana seed bank reviews indicate that the two customer service agents, Alice and A.J., are always friendly and eager to help customers with questions or concerns. They are usually pretty responsive, and you can contact them anytime through their support page. Before you do that though, make sure that you check through their comprehensive Knowledgebase as you can find the answers to many common questions there. They also maintain their own forum called the Weedportal where you can chat with other Nirvana customers, ask questions, see answers, read strain reviews, and get some expert advice on your specific grow situation. Nirvana Shop’s prices are already among the lowest in the cannabis industry, but on top of that, they regularly have sales and discounts, and they even give away free seeds from time to time! This means that you won’t have to go hunting for a Nirvana Seeds discount code, but you will have to keep an eye on their sale page to get the absolute best deals on your favorite strains, supplies, and equipment. If you find something you like on sale at Nirvana you can really get it at rock-bottom prices. For worldwide shipping on seed promotions, specials, and free seeds with every single order, take a look at MSNL’s Special Offers and Promotions page. The Nirvana seed bank website is easy to navigate and has plenty of search features and filters to help you find what you need. You can look for strains that grow well indoors or outdoors, autoflowering, feminized, or regular, or any combination of the above. 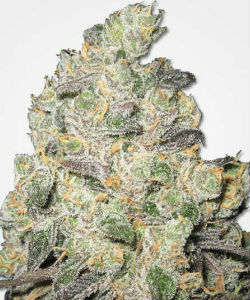 You can also filter your results by hybrid strains, predominantly indica strains, or predominantly sativa strains. Two unique things that the Nirvana Shop website offers is the ability to search by desired effect (energetic, euphoric, happy relaxed, sleepy, talkative, uplifted, or any combination of those) and by symptom for medical marijuana strains (anxiety, appetite, cramps, depression, fatigue, headaches, insomnia, nausea, pain, stress, or any combination of those.) You can also search by flavor, grow difficulty, THC content, CBD content, average yield, flowering period, and plant height. If you use a combination of all these filters, you can quickly narrow down the selection to only the strains that work for your particular growing situation and preferences. This makes it really easy to find a strain you will love, even if you aren’t familiar with any of the strains or are growing for the first time. In addition to these strong and useful search features, each strain also has its own product page which provides a detailed description of the strain and user reviews of it. There is also a graph included which helps to visualize each of the strain’s features so you can take in at a glance how difficult it is to grow, what the harvest will be like, how high it grows, and what its THC and CBD content is like. You can read other customers’ reviews and find out how many of them recommend each strain. Each page is very informative and contains all the necessary information, statistics, and specifications you need to make the right choice for your grow. They also have a physical location at their headquarters in the middle of Amsterdam, Netherlands. The decor is definitely fitting of the Nirvana name, with serene colors and holy symbols decorating the shop and giving an air of calmness to the area. It is open to the public and sells typical smart shop products. They welcome customers and fans of the brand to come in for help and advice with their grows, buy some seeds, or just hang out with the staff and enjoy the mellow vibes. Nirvana Shop offers nearly worldwide stealth shipping. The only places that they will not ship to are Australia, Argentina, and Japan. If you live in any of these countries, however, don’t worry, because Nirvana Shop seeds are so popular that they are sold in many other seed shops, so you will probably be able to buy them from a reseller that ships to your country. All orders are shipped out within 4 business days, and you will receive an immediate confirmation email when it goes out. Orders shipping to anywhere in the European Union should arrive within 1 to 2 weeks. Orders shipping to the United States of America should arrive within 2 to 3 weeks. Orders shipping to anywhere else should arrive within 3 to 4 weeks. All orders are shipped with stealth shipping methods that are packaged securely and discreetly to ensure that your order gets to you. At the moment, Nirvana seed bank does not seem to offer any guaranteed delivery options, but they have a pretty good record of getting orders delivered anyway. There is no information on returns available on their website, if you wanted to return all or part of your order, you would have to contact customer support and it would be dealt with on a case by case basis. Payment methods accepted by Nirvana include credit cards, Bitcoin, bank transfer, and cash in the following currencies: Euro, US Dollar, Canadian Dollar, British Pound, and Polish Zloty. It’s recommended to use Bitcoin as payment whenever possible to ensure maximum security and anonymity. If you have never used Bitcoin before and are a bit confused about it, they even provide a handy little guide that walks you through the process of creating your own wallet and making Bitcoin payments for the first time. Nirvana Shop explicitly will not accept cash on delivery, check, PayPal, money order, or Western Union payments. Nirvana Shop is a great choice for the cannabis enthusiast that needs to cut costs in 2019. They offer good seeds that are available for really low prices, as well as the growing supplies you need to get a good yield out of them. There aren’t many seed shops out there that can undercut Nirvana Shop on price. In fact, you should be wary of any lower prices that aren’t from a reputable, well-known seed shop as you may not get what you paid for. Nirvana seed bank has proven time and time again over their many years of being in business that they are a trustworthy, legitimate business that delivers good seeds and cares about their customers’ satisfaction. Without that context, their low prices might be seen as a red flag, but since a multitude of Nirvana shop reviews have demonstrated that they’re the real deal, the bargain prices are just the icing on the cake. Nirvana seed bank has earned its reputation in the cannabis industry as a haven for new growers. They cater to people who are just starting out and need seeds, supplies, and support during their first grow. They have a variety of strains that are suited for a multitude of different conditions and produce a range of different effects. You’ll surely be able to find something that you like. They also have regular sales that make their already-low prices even lower, and they even give out free seeds every now and then. Keep your eyes peeled for that! Their shipping is mostly worldwide, comes in stealth packaging, and deliveries usually arrive within a few weeks. They do accept Bitcoin and credit card payments, as well as cash and bank transfer. All in all, Nirvana is a good seed bank and a well-established brand in the industry. They will be catering to beginner growers for many years to come. 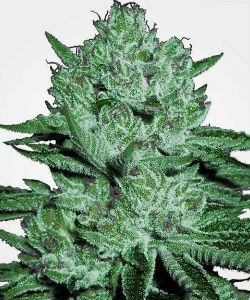 Nirvana Seeds is great for those who are just starting out with growing their own marijuana. There is no seed bank that caters to beginners better than Nirvana does. Marijuana-Seeds.NL (MSNL) – This British seed bank is one of the most well-known, high-quality seed breeders and features a massive variety of cannabis strains. They have an excellent customer service team, offer worldwide stealth shipping, and run excellent promotions. Payment options include Bitcoin and credit cards. In addition to this, MSNL ships out free seeds with every order. Crop King Seeds – Crop King doesn’t have the wide variety of MSNL, but their products are high quality. They have an impressive germination guarantee that gives new buyers peace of mind. They also have a friendly customer service team and worldwide stealth shipping. Payment options include Bitcoin, PayPal, and credit cards. Ministry of Cannabis – This Spanish seed bank is highly-recommended for seed buyers on a budget. Ministry of Cannabis may be inexpensive, but their seeds definitely aren’t cheap. They offer a great value for your money and ship worldwide. Payment options include Bitcoin and credit cards. Cannabis Seed Banks - Seed bank reviews and a guide to choosing the best marijuana seed bank. Attitude Seeds - Attitude Seeds review: reputation, seed selection, customer service, special promotions, and free seeds. Bonza Seeds - Bonza Seed Bank review: seed selection, quality, customer service, and shop promotions. Crop King Seeds - Crop King Seeds review: seed selection and quality, customer service, special promotions, and free seeds. Gorilla Seeds - Review of Gorilla Seeds' reputation, strain selection and quality, and special offers. Ministry of Cannabis - Ministry of Cannabis review: the shop's reputation, selection of strains, promotions, free seeds, and more. MSNL Seed Bank - MSNL Seed Bank review: its stellar reputation, seed quality and selection, special promotions, and free seeds. Paradise Seeds - Review of Paradise Seeds including seed selection, quality, customers service, promo codes, free seeds, and more. Seedsman - A review of Seedsman Seed Bank: its reputation, product quality and selection, special promotions, free seeds, and more. Sensi Seeds - A detailed review of Sensi Seeds: reputation, quality, seed selection, shipping, seed promotions, and discounts. True North Seed Bank - A review of True North Seed Bank: Its reputation, strain selection, seed quality, sales, promotions, and free seeds. These people will make false promises to you to cover up the fact that they have your money & do not care if you are happy with their seeds or not. They were a good company several years ago and I had no problems, BUT now seeds will NOT germinate and they do not care! I hate to change companies but all they are doing nowadays is robbing you without a gun!